Regulator Digital Electroscope - FREE SHIPPING! As with the Regulator (classic), this digital version is pre-set for gold only, but other metals can be detected by simply including a like metal in the sample chamber. Now with an LCD display, the tuning on the Regulator is more refined than ever. Large, easy-to-view numbers can be set on the screen where you get the best detection. The display also features a backlight for low light conditions and a battery icon to show battery life. 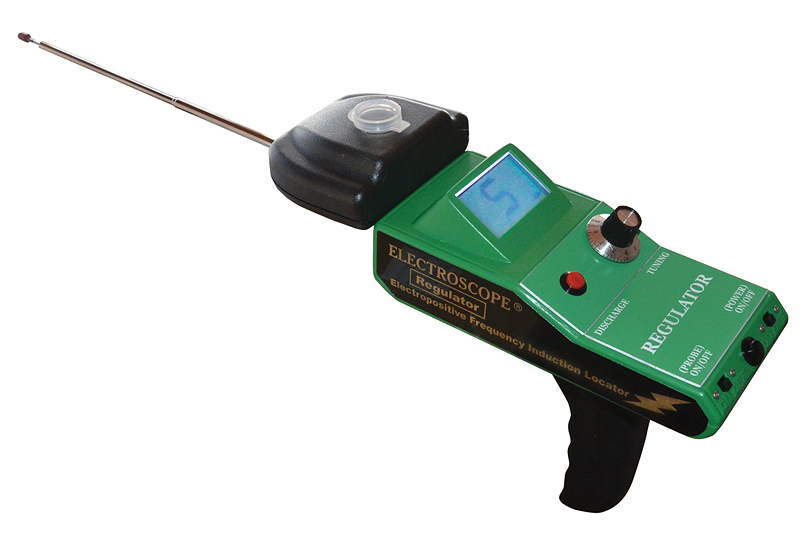 Highly discriminatory, the Regulator Digital Electroscope is a favorite among prospectors. If you are looking for deposits of gold, veins, hunting tailing piles for nuggets, or just looking for an area to set up your prospecting equipment in a river or a stream, the Regulator digital is for you!